Cast up a bunch of Accurate 215 gr. FN bullets for the Mosin rifle a few week ago and PC'ed, sized and gas check them last week. 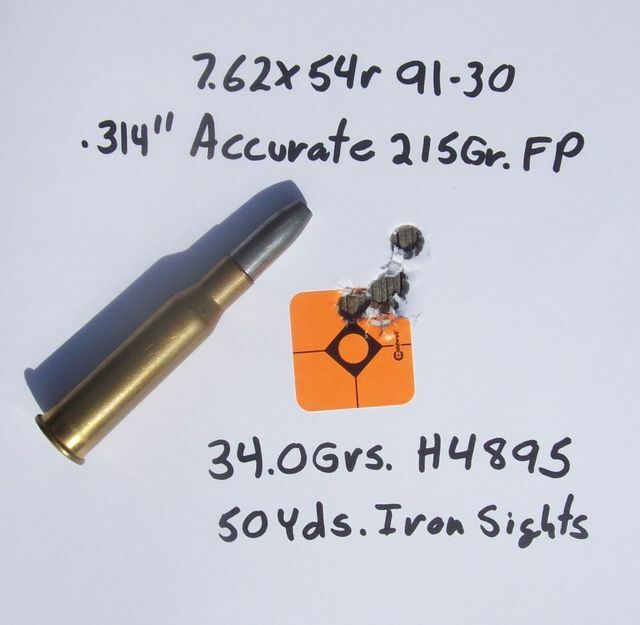 The Accurate 215 gr. FN is designed to fit the throat of my 91/30 and mainly to be used as a hunting bullet. interesting looking lube groove on the fourth from bottom middle of box...almost looks like groove is not quite lined up between your two halves of mold??? wonder if they would stabalize in the x39mm case??? It does look l8ke the two halves of the mould were not correctly aligned mate, but what it’s actually just the way the bullet is laying underneath the bullet in question. Makes it look like a dodgy casting. I had to look really close to see what you guys were talking about. I'm pretty particular about my bullets and culling any defective ones before sizing and applying gas checks as needed. I was thinking how could I have missed one that was cast that bad. Having been back and read through this thread again, then had another look at the Eastwood website, I am confused about the coating. How do you apply the coating? How do you bake the coating onto the bullets? I will answer all your questions with pictures and descriptions when I get home from work tonight as it's time for me to hit the road an head off to work. Thanks mate. Have an enjoyable day at work mate. I know that’s oxymoronic, but it’s better than hating your job. Well, evidently I can't post quite a few of my pics on this site for some reason. So if you go here castboolits.gunloads.c...ts/page121 post #2406 you can see how I do things. Thanks mate...I may just have a go at PC on some cast bullets and see how it turns out. Five shot load test with the above bullet I shot today with 34.0 grs. of H 4895. It's a keeper but I can go higher with the charge weight. Next time out I will take the chrono out and get some reading.